Our Prayers & Squares quilters meet once a month to work on Prayer quilts and LWR quilts. Everyone is welcome to come help and no experience is necessary. From time to time we have LWR quilt squares cut and ready to be sewn together for those who would rather sew at home. This outreach program could not work without the core group of quilters who have been instrumental in creating the quilts. 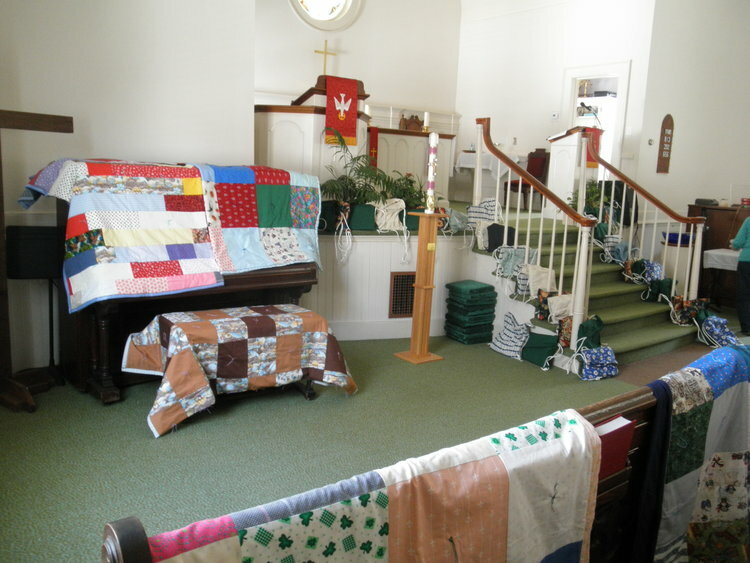 Also greatly appreciated are those who have sewn the LWR tops, and all members of the congregation who finish the Prayer quilts with knots and prayers.